Erica, SafeHouse graduate, started her own catering business. After successfully completing 18 months at SafeHouse program, a woman takes part in a joyful graduation ceremony. Such events are truly one of the most meaningful times here. We provide continued availability and outreach to SafeHouse graduates including invitations to holiday celebrations and outings, summer barbecues, money management consultations, connections to attorneys, occasional groups, and individual case management as needed. Graduates in turn, provide inspiration to current residents and often become their sponsors in 12-step programs. 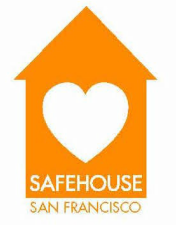 "How SafeHouse Has Changed My Life", post by Erica, SafeHouse graduate. "My Road to Recovery", post by Reilly, SafeHouse graduate.